Help wanted to keep Adito and my other software alive! Hi all! Adito has been used for years by many, but in the latest years the Certum certificate has been out of date. They changed from free to real expensive. I wish to keep a signed version with Adito available to all, but there is needs for funding todo so. I also have new software that also needs signing. The cheapest code signing I have found is from K Software: http://codesigning.ksoftware.net/ for 4-years with a price of USD $268. It is expensive for a single developer, so I wonder if we can split the bill and the community could raise 50% aka USD $134? My donor system is 100% manual and I will say thanks to every contributor. 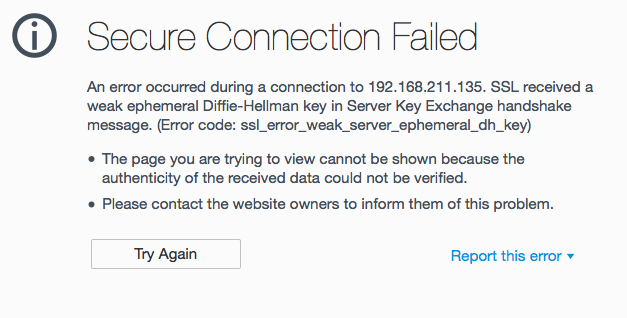 Adito supports a lot of different SSL-ciphers and some of them has weak Diffie-Hellman (DH) keys. Here is a guide that worked for me and ensures secure connection to Adito (as before). If you want to read more about the problem visit https://weakdh.org/ it checks your browser at the same time. The list of SSL ciphers supported by Adito. If the selected cipher list is empty then all available ciphers are supported, if you edit this list then ensure that SSL_RSA_WITH_RC4_128_MD5 is selected as this is required by the Adito Agent. WARNING: Editing these properties may cause compatibility problems with some older browsers. I removed every TLS_* entry from this list and added all the SSL_* ciphers. A restart of the Adito server is required. Existing users will be thrown out! The restart takes some time, and only works if you use it in service mode. If you are using console, you have to close and restart the consolewindow. Now remove the exceptions in Firefox as you changed before (security.ssl3.dhe_rsa_aes_128_sha and security.ssl3.dhe_rsa_aes_256_sha), and login to your Adito server using Firefox. If you haven’t update your Adito so clients can use Java 1.8, please see the page Installer-SVN! Applet is valid signed and recompiled with JDK 1.8! Adito (OpenVPN ALS) finally runs on Java v1.8. Signed SVN version released! Find the champagne, I finally got around to release Adito for Java v1.8 (and probably higher version). Oracle are still strict in their handling of unsigned applet, so it has to be properly signed to run. I’ve only released the SVN-version with support for v1.8. This version uses my extension-store and are probably the most bug-fixed version out.